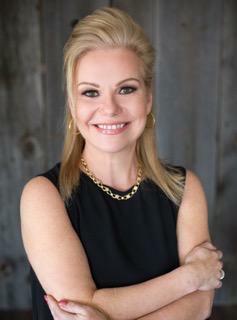 Jana Bartley, is the Founder and CEO of Integrity Healthcare Consultants where she provides exceptional guidance for her clients by assisting them in navigating the complexities of today’s healthcare system. She has more than 20 years’ experience working in the healthcare field as a clinician, unit manager, practicum instructor, patient relations consultant and a legal nurse consultant. Jana is passionate about bringing the best possible results to her patients and the healthcare community. Early in her career she established herself as a front runner in Obstetrical, Neonatal, and Paediatric nursing by advocating a “patient first” mentality in everything she did. This served her well as she soon went on to become a practicum instructor for the University of Ontario, Faculty of Health Sciences. Jana’s success as a clinician eventually lead her to become the Patient Relations Consultant for the Rouge Valley Health System, where she became a catalyst for handling the concerns and complaints of the public. Her additional experience as an independent Legal Nurse Consultant working with medical malpractice lawyers dealing with medico-legal cases was the driving force behind establishing Integrity Healthcare Consultants. Jana reviewed many cases that with proper communication and knowledge could have been prevented. Her focus is to work with clients to provide the missing link between navigating an often complex and intimidating healthcare system and patient engagement and empowerment. Her compassion for her client’s well being shines brightly in everything she does and she is honoured to continue to serve the healthcare community at large.